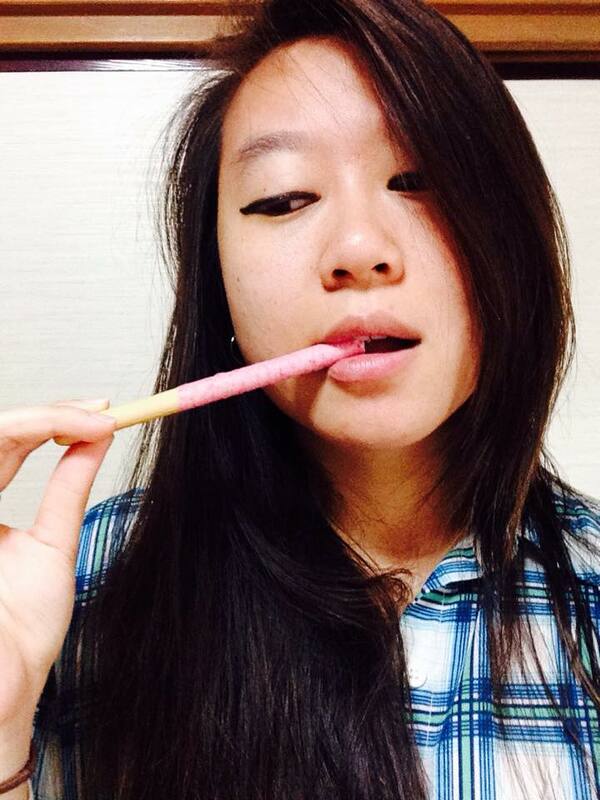 POCKY TASTES EVEN BETTER WHEN IT'S GIANT - EAT WITH HOP! 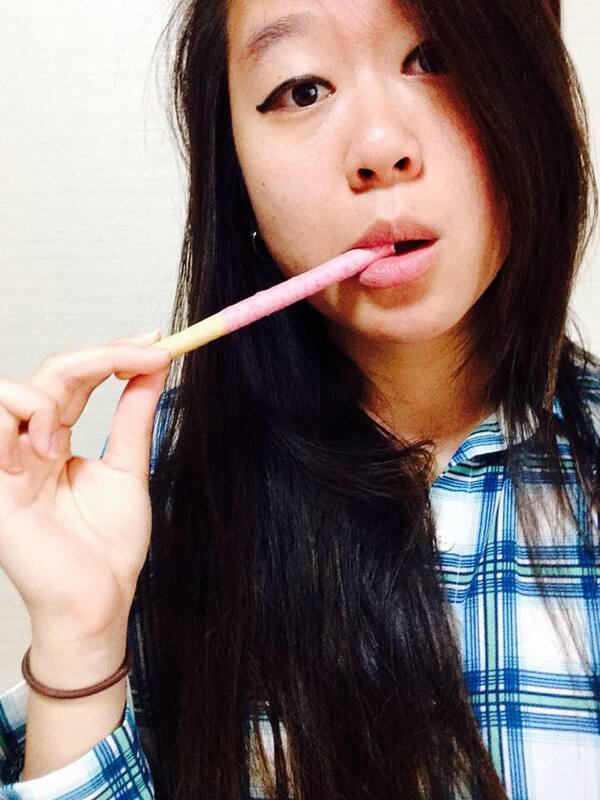 I actually have already had giant pocky in California. I had a good friend who always bought Japanese snacks from Mitsuwa Supermarket (Costa Mesa) and that included GIANT POCKY! Over here in Japan, I've been trying really hard to save money and not buy impulsively...but I got so excited when I saw this at a supermarket! 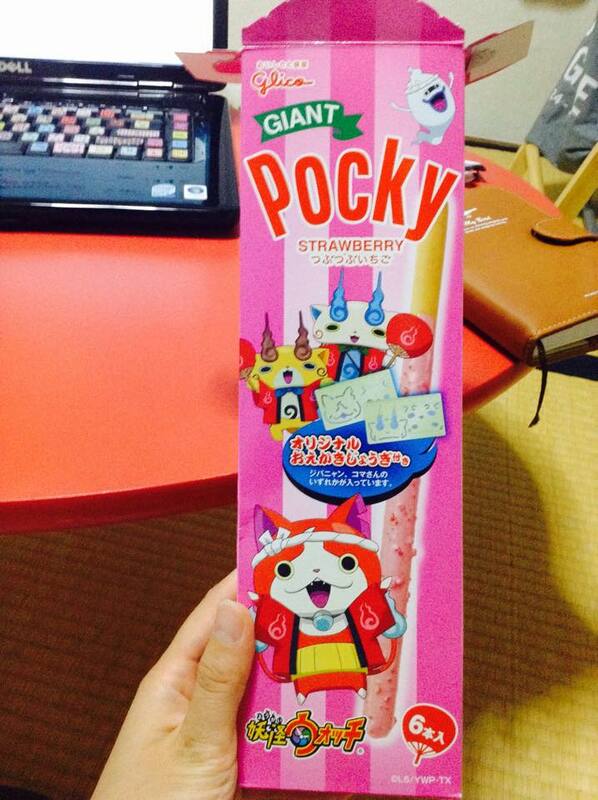 Not only is it giant sized pocky... but it's also strawberry tsubutsubu flavored and...AND!... it comes with a toy. 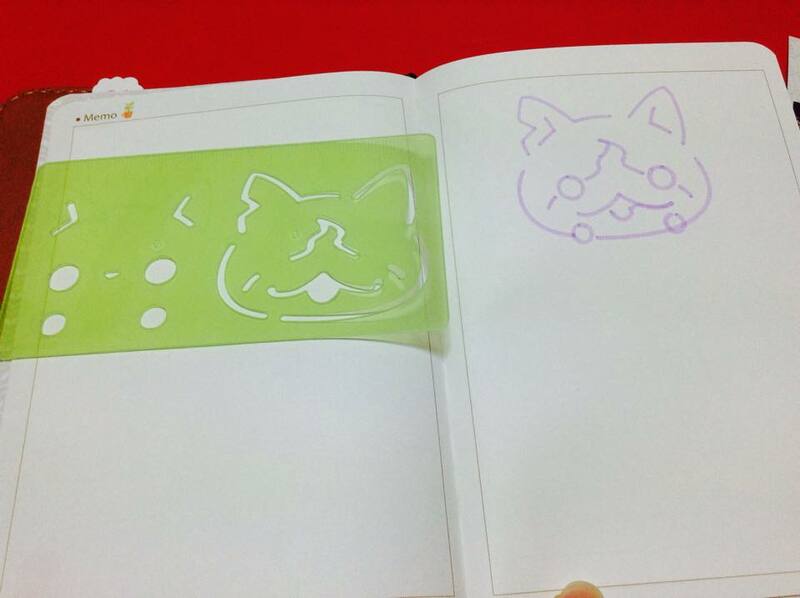 I felt like I was getting my money's worth with this one and it was only 300yen too (roughly $2.50 usd). The kid inside of my was definitely screaming with joy. 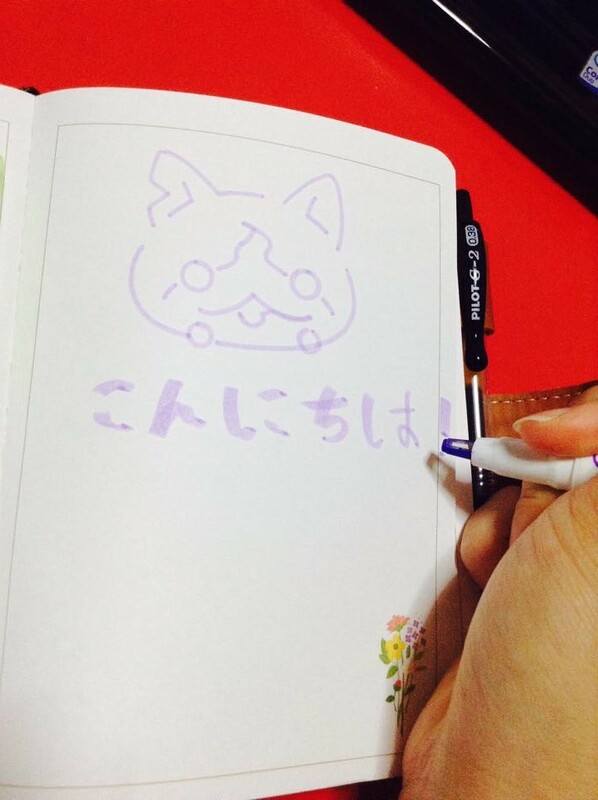 **TsubuTsubu（ つぶつぶ）means lumps, grains, or lumpy. Basically this strawberry pocky had lumps of strawberry flavored chunks on it too which really adds texture and better flavor! 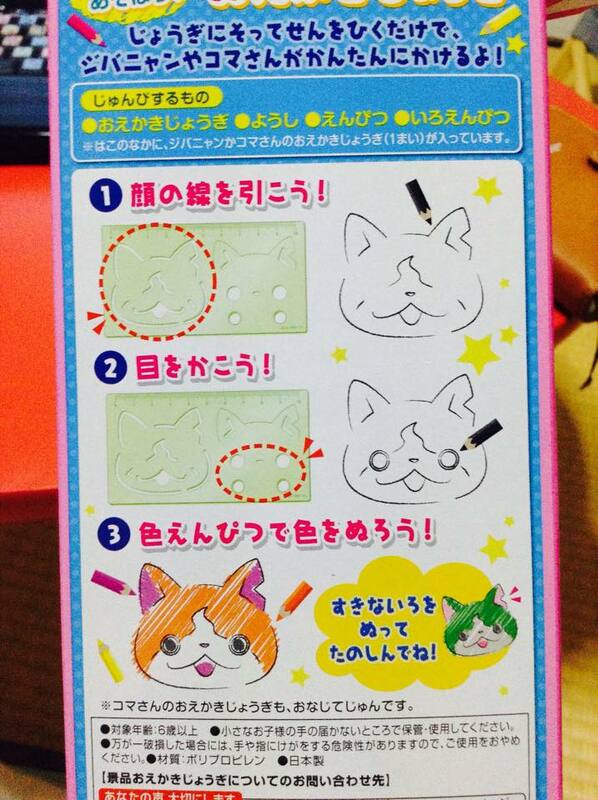 The stencil that comes inside the box is also a ruler. I love multifunctional things! I totally had fun drawing the little character (does anyone know this character? Famous cartoon! 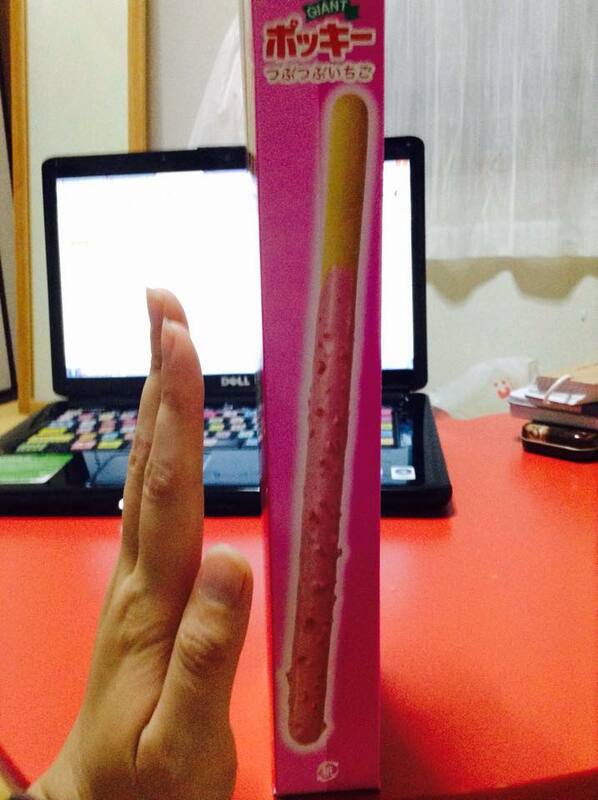 I have no idea the name though...) and can't wait to use the ruler for... IDK...measuring the size of the pocky...?? (Which by the way...I just measured it and it's about 21 cm) It's a bummer the stencil's ruler part is in centimeters because... as an American... I don't really use cm much T___T.